martini shaker and various decanters filled with scotch, or vodka or gin. It was what I always thought of as the special events corner of the house. above. 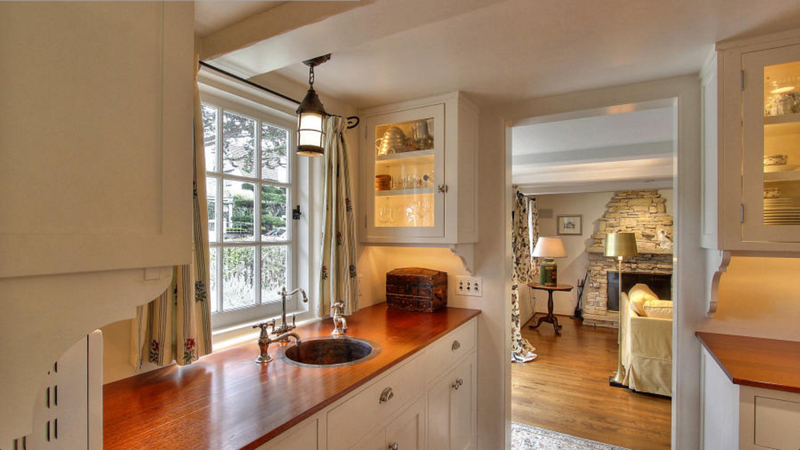 Hers has a sink and old polished antique walnut countertops. The layout is similar to this one from House Beautiful. So now I collect pictures of these special places. This one above is a gem. take pictures of our old pantry but they never did. in North Carolina visit Sagee Manor here. butler's pantry. Lovely polished wood countertops. Pretty little copper sink. to see more of this precious place in Carmel, CA go here. butlers as we watch Downton Abbey, episode two of this season. a little tweak in my kitchen to share with you. Oh wow! 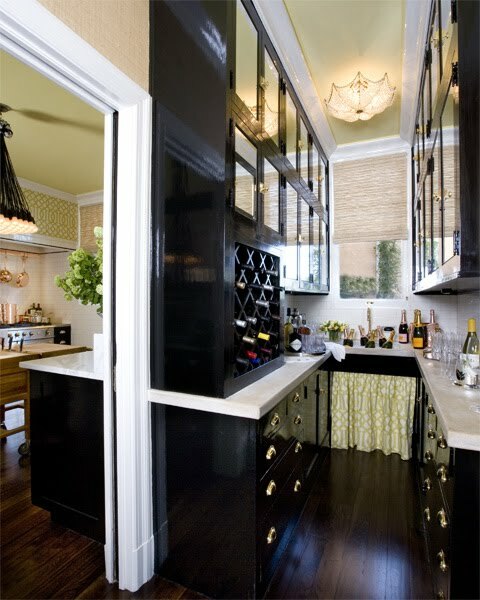 I am totally admiring those butlers pantries! Thanks for entertaining us and how lucky you are to have lived in a house that had one. I suppose I was lucky. I lived in a tudor style house built in the early twenties and it has all kinds of lovely old features that one hardly ever sees today. They are pretty! My parent's old home had one too. It was gorgeous, probably shabby compared to these, but it had glass cabinets and it was all white with a sink, and pretty counters. I don't have a photo either. xoox My memories of it is where I got some of my inspiration for my little kitchen. I am surprised my parents never took any pics of the butler's pantry because they were house crazy and took pictures of most of the other rooms. Susan that last one is my favorite too!! Would love to see a tour of the whole house! Martina, there is a link to the full tour of the house on this post. You will love it because the house is full of charm. Beautiful spaces! You and I had TOTALLY different childhoods. My Daddy worked very hard and provided us with a very good life. He did instill that same work ethic in me and I have worked hard for what I have too. Oh wow, such amazing pantries. I too love them and we had a lovely one back at our big house, but never did pics either. In those days picture taking wasn't like it is now, and I guess when I was growing up too. My house when growing up back in Astoria- Queens was humble; I mean, it wasn't small, but had a small kitchen for the size of the house...umm, that's strange now the I think about it. Thanks for sharing, all of these are gorgeous. So happy you enjoyed the little tour. Butler's pantries are like special treats. I am with you, Susan. 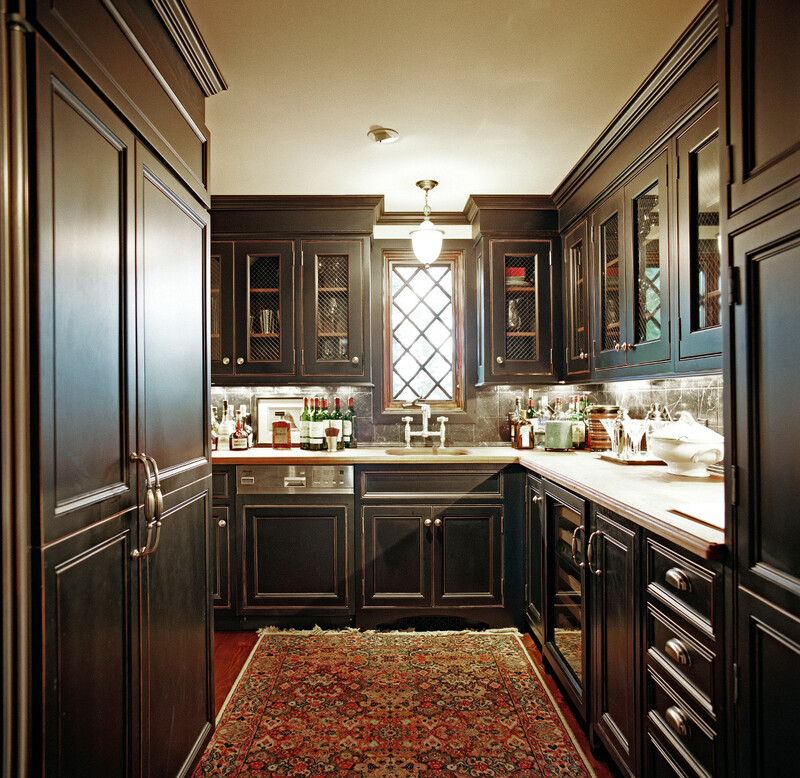 I love butler's pantries and I collect photos, as well. I not only love them, I truly need one right now!! Thanks for the tour - a great collection! Thanks Diane and thank you for stopping by! Susan, I love that last one but also the one with the round window. Have a horse doorstop similar the one in the pic, too. I will check out the link. We love Carmel! Hi Becky! I love Carmel too.